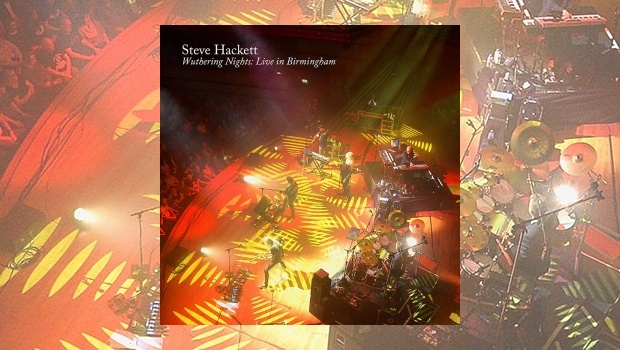 A new live 2CD/DVD set from Steve Hackett, recorded at Birmingham Symphony Hall in May 2017, Steve and his band celebrating 40 years since the release of Genesis’ Wind And Wuthering album, alongside solo material taken from his latest studio album, The Night Siren. This was a concert of two parts, the first covering the solo material and the second featuring Wind And Wuthering in alongside other Genesis classics. The musicians for this tour were Steve’s regular band of Roger King (keyboards), Gary O’Toole (drums & percussion), Rob Townsend (saxes & flutes), Nick Beggs (bass, Chapman Stick & 12-string guitar) and Nad Sylvan (vocals) who is featured throughout the second set. Finally special guests John Hackett and Amanda Lehmann complete the line-up. This is the fourth CD/DVD set released by Steve since his Genesis Revisted project took flight in 2013, continuing in a similar vein to the earlier releases, Live At Hammersmith (2013), Live At The Royal Albert Hall (2014) and The Total Experience: Live in Liverpool (2016). Sound-wise – and to a fair degree content wise – it covers much of a similar ground. What makes this one special is the sheer joy that is encapsulated throughout by both the crowd and the band. You can clearly see that Steve relishes the task and thoroughly enjoys himself, as do all the band members. The tour documentary reveals much about the dynamics of the show and the various influences and reference points caught within. We find Steve is a very eloquent man, both in speech and in his music, and it is very interesting to hear about the inspirations behind the music, such as those on Behind The Smoke which touches upon his refugee heritage, and how important Britain welcoming foreigners has been, and still is. The sound on the CDs is crisp and clear and the picture footage is equally impressive. The DVD has a surround sound option that I sadly wasn’t able to fully exploit, but even in PCM 2.0 stereo this is a fine sounding set. I guess for many the real jewel in the crown here are the songs that make up the Wuthering Nights segment – songs like Eleventh Earl Of Mar, One For The Vine and the non album track Inside And Out (a song that Steve felt should have been included on the original album). 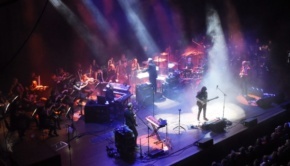 Regular crowd pleasers like Blood On The Rooftops and Afterglow certainly bring the Wind And Wuthering section to life in spectacular fashion, however the second CD is then further bolstered by the perennial favourites of Firth Of Fifth, The Musical Box and Los Endos, all of which raise the roof of the Symphony Hall and delight the crowd. Steve sounds in particularly fine form during his solo on Firth Of Fifth as he wrings out a very emotionally laden, fluid and impressive solo at the end. But for Steve it’s not all about him and the guitar, but rather it is about the fine ensemble playing. It is the real love for these songs that shines through and makes this show such a triumph and such a great night out for the fans who pay to see the shows. Much care has been taken in capturing these special moments for posterity and you can tell this is a labour of love for the whole team with sensitive, yet impassioned performances and a desire to give the best show possible. Whilst Genesis may be no more, Steve’s continued investment in these classic songs both keeps them alive and also helps educate fans that his heritage matters and is one that he takes very seriously. It also potentially offers an olive branch, that should they so choose, could possibly lead to another chapter being written? One can hope, but for now this impressive show certainly delights and has much to offer fans both old and new. Another Excellent set from Steve and the band and a great keepsake of a marvellous evening of music. 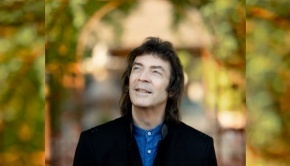 Another day, another live album from Steve Hackett. Really, he pops these out quicker than Donald Trump sends stupid tweets. But I forgive him because they are all so darn good (that’s Hackett’s albums, not Donald’s tweets…). Live In Birmingham captures Steve and his band celebrating the 40th anniversary of Wind And Wuthering, the last Genesis album before they sold their soul to the commercial devil. It’s not my favourite recording of the classic period but Hackett picks the best songs – Eleventh Earl Of Mar, One For The Vine, Blood On The Rooftops, Afterglow – and wisely avoids All In A Mouse’s Night, Wot Gorilla? and the execrable Your Own Special Way. These are spot-on renditions, played with a superb attention to detail and with a harder, more aggressive edge than on the original album. Nad Sylvan does a mostly sterling job in coping with some fairly extreme vocal ranges – all credit to Phil Collins, some of these songs are hard to sing – while muscular drummer Gary O’Toole injects just the right amount of Sunday afternoon ennui into Blood On The Rooftops. We also get the surprise appearance of Inside And Out, the best song that wasn’t on Wind And Wuthering. Admittedly, some of its lyrical sentiments feel a little, shall we say, uncomfortable in the current climate but that instrumental section is like an explosion of pure joy. When I saw the tour in Dublin last year I thought it was going to blow the roof off Vicar Street. 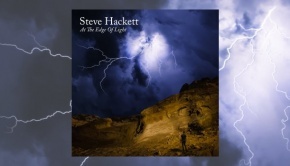 For his solo stuff Hackett brings out some tried and trusted classics along with a few numbers from last album The Night Siren. Every Day (I must have about 25 versions of that song!) romps along despite its dark subject matter, while Serpentine Song and Rise Again show Hackett’s ability to create warm, beguiling melodies and soaring instrumentals. The new tracks fit in well – In The Skeleton Gallery is particularly powerful, with some astonishing playing from Rob Townsend on sax and flute. At the Dublin gig it was interesting to see Hackett turn and watch Townsend with undisguised admiration and pleasure. The entire second CD is dedicated to Genesis material, and it’s greeted rapturously by the audience. Makes you wonder why Hackett still entertains the idea of a Genesis reunion when they couldn’t hope to sound as good as this. Visually it’s well shot with some effective stage lighting. 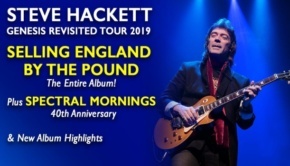 The band could hardly be called exciting (apart from Nick Beggs playing foot pedals with his hands on Shadow Of The Hierophant) and Hackett is sometimes a diffident frontman but, frankly, I don’t care. It’s the music that matters and it’s damn good. And the band are clearly enjoying themselves with some warm on-stage camaraderie. The DVD includes behind-the-scenes footage and videos for tracks from The Night Siren, which are nice to have. If you are a Hackett fan, get this album. If you are not, get it anyway and become one.